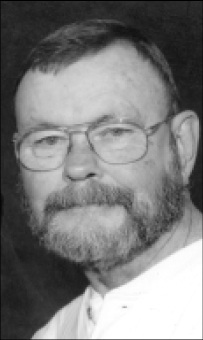 Longtime Oakhurst resident Duffy Lee died on January 16, after struggling the last couple of years with cancer. She was 87. Duffy was an extremely active member of both the Oakhurst Neighborhood Association and the Oakhurst Citizens on Patrol. She had lived in Oakhurst since the 1950s, on Morning Glory Avenue, where she served as a street representative for many years. Duffy also served for many years as chairman of ONA’s Welcoming Committee. It was her delight to bake a pie, cookies, or cake, and deliver them to new residents soon after they moved into Oakhurst. She was a fixture at neighborhood monthly meetings and twice annual general membership meetings, where she was responsible for setting up refreshments for the “socials.” She always brought seasonal decorations (Easter rabbits for spring; Halloween motif items for fall) for these events. She made the ice cream punch and a lot of goodies, and she set it all up for the neighbors to enjoy, along with the food contributions of other neighbors. Duffy believed that everyone in Oakhurst should participate in the neighborhood association. She often made it a point to encourage younger members to become involved. She also believed that one hour was long enough for a meeting, as she was often the member who made the motion to adjourn the meeting when she thought the meeting was running long. Above all, she participated in everything the association did. She thought that was what residents were supposed to do. No one took more delight than Duffy in the 2007 Neighborhoods USA 1st Place Award for Community Collaboration given to ONA and the Oakhurst Citizens on Patrol for the annual Police and Firefighters Appreciation Dinner. She was—for so long—a part of the event that Oakhurst residents, as well as police and firefighters, looked forward to her desserts at the fall event...especially her buttermilk pie. She was the epitome of service to her neighbors—those who lived with her on Morning Glory, and those who lived elsewhere in the neighborhood. She came from the Wallis family in Weatherford and had eleven brothers and sisters. According to the minister at her funeral, the “Wallis women” were known for being strong and determined. He told the story of Duffy at Luby’s Cafeteria, where she worked for a time serving coffee and tea to customers. One day, a Luby’s executive from the corporate office was observing operations at the Loop 820 cafeteria. At one point, he saw Duffy pour a pot of coffee down a sink. He brought this to her attention, thinking he had spotted a way to save money. Pour less coffee down the drain—save money. Duffy, in her inimitable way, replied to the executive that she had drained the coffee pot because the coffee was stale. “I will NOT serve stale coffee to my customers,” she told him, and if that was a problem for him, then she could find her way elsewhere. That ended that discussion and underscored Duffy’s commitment to excellence in food service. She remained at Luby’s. See Duffy's obituary below, along with several other Oakhurst neighbors that we remember this month. 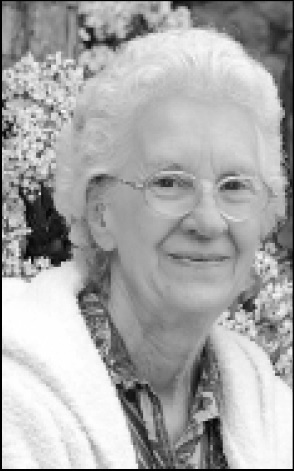 Duffy Wallis Lee, 87, a resident of Morning Glory, went to be with the Lord on Wednesday, Jan. 16, 2013, after losing her fight with cancer. Her funeral was held in Mount Olivet Chapel. Interment was in Mount Olivet Cemetery. In lieu of flowers, donations may be made in her memory to Cancer Care Services, 623 S. Henderson, Fort Worth, Texas 76104. Our Nana and mother, Duffy was born March 5, 1925, in Weatherford and was a sibling of 12. She began cosmetology school as a teenager. One day while traveling on a bus to school, she was spotted by Robert B. Lee, who asked her out on a date, fell in love and married in November 1950. Duffy owned and operated Duffy's Hair Styles in Fort Worth, dressing hair for over 50 years. She later went to work for Luby's Cafeteria at 820 and Beach Street as the all-famous "Tea Lady." Duffy was proud of her Oakhurst neighborhood and the Oakhurst Neighborhood Association. She told everyone about the 2006 Neighborhood of the Year award. Welcoming chairperson, Duffy would greet all new residents with her homemade desserts. 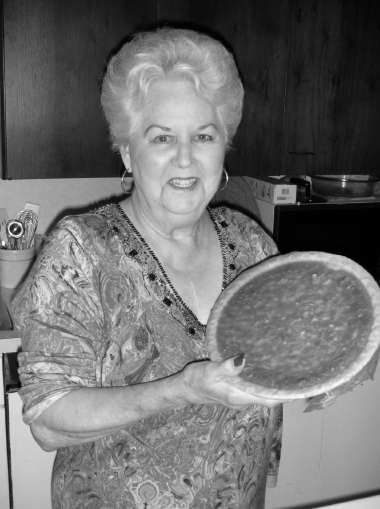 She was known in her neighborhood as the "Pie Lady." Duffy was voted Patroller of the Year in 2008. 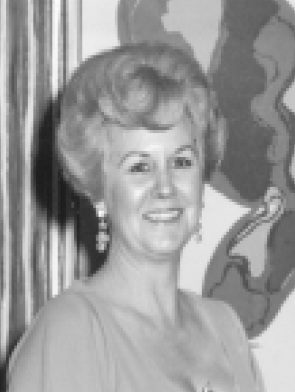 Nana, mother, Duffy loved life; her passion to cook and bake was like no other. Her pastime was reading novels, cookbooks and taking care of you. She loved her family. The family wants to thank Dr. Asad Dean and his team at Texas Oncology, 12th Avenue, Fort Worth, Texas 76104. Duffy was preceded in death by the love of her life, Robert B. Lee. Survivors: Son, Randy Lee and wife, Telea, of Springtown; granddaughter, Kelley Jenkins, of Keller; great-granddaughters, Kylie and Abby; brother, Bobby Wallis and wife, Martha, of Weatherford; her beloved Jack Russell, Harley Beckum; and a host of other loving family members and friends. 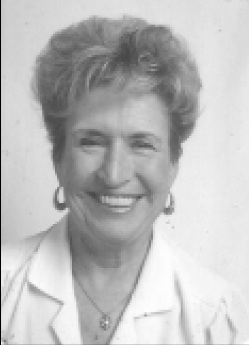 Jerry Ann Baker, 74, a resident of Goldenrod, passed away Saturday, Jan. 5, 2013. Her funeral was at Birdville Church of Christ. Interment was at Mount Olivet Cemetery. Memorials: Donations may be made to the Alzheimer's Association. Above all else, Jerry loved her family and was a longtime member of Birdville Church of Christ and a faithful servant of the Lord. She was a Sunday school teacher active in nursing home ministry and visitation, behind the scenes in both church and schools. Survivors: Husband, Victor Baker of Fort Worth; daughters, Pamala Hamilton and husband, Billy, of Argyle, Lori Baker of Fort Worth, Staci Bradley and husband, Harold, of Grapevine; son, Kent Baker of Irving; grandchildren, Spencer Hamilton and wife, McKenna, of Temple, Mallary Hamilton of Austin, Chandler Hamilton Busby and husband, Josh, of Haiti, Alec, Alden and Alyse Bradley of Grapevine, Micah Baker of Irving; great-grandson, Nolan Hamilton of Temple; brother, Ronnie Ledgerwood and wife, Alpha, of Lubbock; sister-in-law, Shela and husband, Richard Carey; and niece and nephews. memorial service was at Riverside Baptist Church. Estelle was born Dec. 1, 1922, in Malakoff. She was a faithful church member of Riverside Baptist Church for 71 years. She enjoyed bridge, golf and tennis. She was a wonderful and loving wife and mother. She was preceded in death by her husband, "Smokey"; son, Greg; mother, Ruth; father, Jim; brother, Gary; and sister, Theda. Survivors: Son, Ronny and wife, Carolyn; daughter, Barbara Ann; seven grandchildren; 12 great-grandchildren; sister, Joan and husband, Charlie; brother, Dale and wife, Brenda; and numerous nieces and nephews. are active members of D/FW Sam's RV Chapter. He was preceded in death by his parents, Olen H. and Dottie O'Dell. Survivors: Beloved wife of 34 years, Shirley O'Dell; son, Kelly David O'Dell; sister, Janet O'Dell; and numerous nieces, nephews and friends.